A 6mm beautiful and unique hand engraved titanium wedding ring band with 2 sparkling stones. 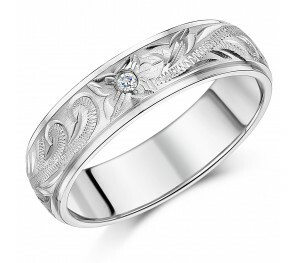 A stylish patterned wedding band made of durable titanium material and detailed with beautiful hand engraved design. And for an added finishing touch, this wedding ring is set with two sparkling stones embedded in the design. 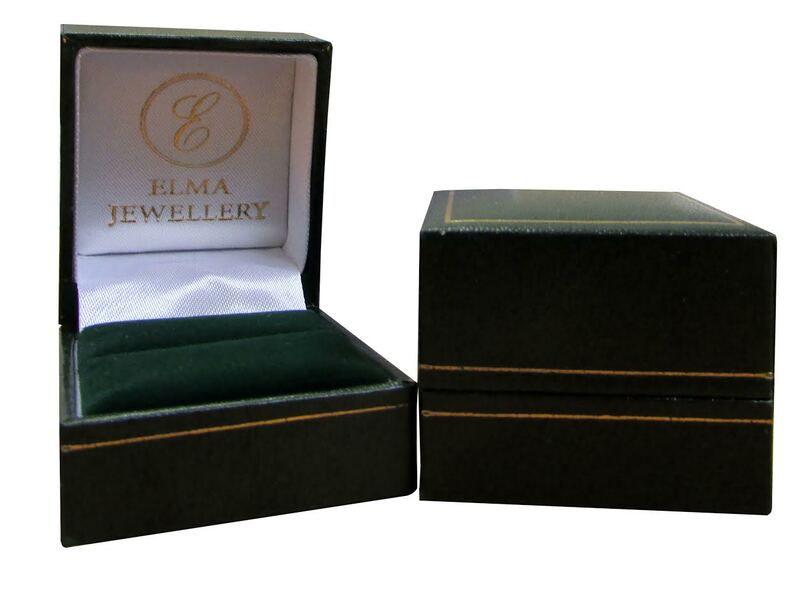 A truly elegant and modern piece which is the perfect way to celebrate your big day, or is equally appropriate as a sophisticated fashion ring. 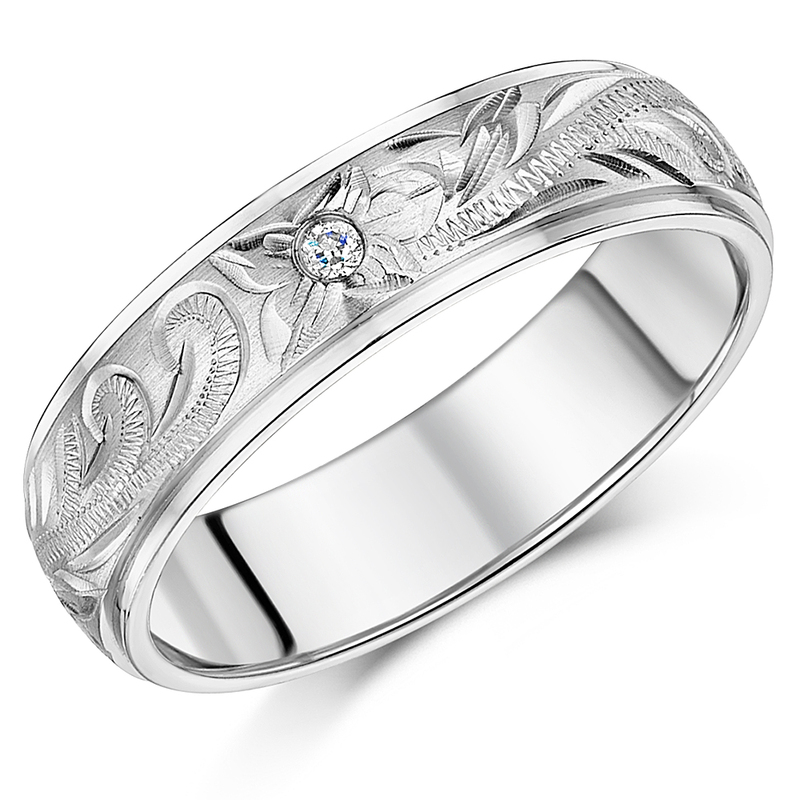 Beautiful ring, with lovely engravings. I'm really pleased with mine and would fully recommend it to anyone wanting a very elegant ring.